Indonesian General Practitioners Association (PDUI) will be holding The 9th Annual Scientific Meeting (PIT IX) as one of the strategy in developing and improving competencies of General Practitioners in Indonesia. In parallel of The 9th PIT IX, National Work Deliberation (Musyawarah Kerja Nasional (Mukernas)) will be executed as a mandatory of AD/ART and attended by all PDUI across Indonesia. 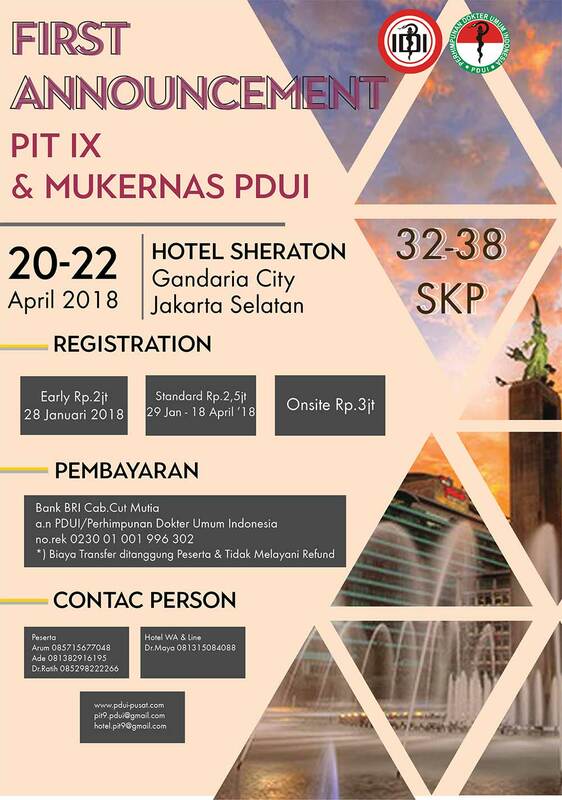 The 9th Annual Scientific Meeting (PIT IX PDUI) will be held in 3 days and will be taking place at Hotel Sheraton Gandaria City, South Jakarta. All General Practitioners across Indonesia will be invited, thus this is one of the biggest event among General Practitioners. There are more or less 3000 General Pracitioners are coming to this event. 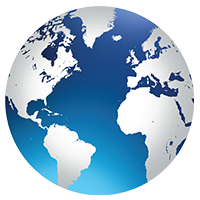 The-3-Day PIT IX PDUI will consists of Symposium, Workshop, and Clinical Mentoring with 32-28 SKP IDI Credit Points could be collected. Mrs. Puan Maharani as Coordinator Minister of Culture and Knowledge Development, Prof. Dr. dr. Nila F. Moeloek, Sp.M(K) as The Minister of Health, Indonesia and Prof. Dr. dr. Fachmi Idris, M.Kes as President Director of BPJS Kesehatan Indonesia are scheduled to give opening speech and also taking officially do the opening ceremony of PIT IX PDUI 2018 (Social Insurance Administration Organization).